Most PDF converters are made for Windows. They work only on Windows OS, and they look too traditional. Thusly, do you know how to convert PDF to Office formats on Mac? Let’s first have look at when you need a PDF to Office Converter. PDF to DOC for Mac — Obviously, more people are better at manipulating Word documents than handling PDF files. You cannot edit PDF easily if you do not get an effective PDF editor like Adobe Acrobat which, unfortunately, is too expensive for individual users. 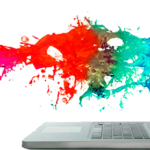 You can not only correct slip-ups in the PDF file with all the other things remained, but also flexibly add personalized elements to make the documents more cool. 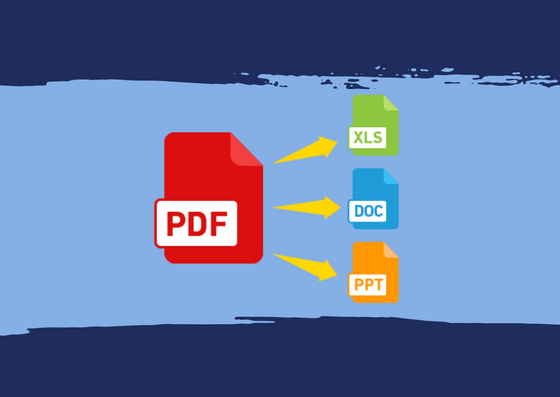 PDF to XLS for Mac — If you are a researcher, an analyst or an accounting professional, chances are that data and materials you have to tackle with is in PDF. Clearly, an Excel spreadsheet is more powerful in tracking information, tabulating comparisons and mathematical formulas. 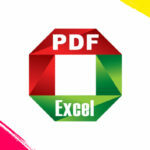 Accurate conversion from PDF to Excel will ensure your work efficiency. To import PDF files to convert, you just need to drag and drop PDF files to the panel. And also, you can choose “File -> Add PDF Files” in menu of the toolbar to add PDF files. The default converted format is MS Office Word (.doc). 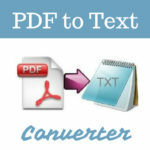 You can batch convert up to 50 PDF files at one time and you can convert encrypted PDFs as well. 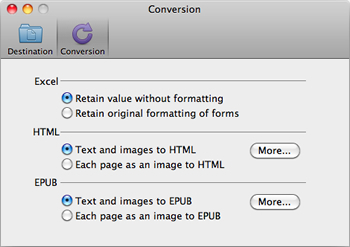 After importing PDF files into the panel, now you can choose the formats to convert. Click on the gear icon in the pop-up window, you can choose the output format: MS Office Word (.doc), MS Office Excel (.xls), MS Office PowerPoint (.pptx). And also, you can customize the page range to convert in this window. If you want to convert all the files into single format, choose “Apply to All”. You can customize you conversion by setting modes. Click the “PDF Converter->Preferences” on the toolbar; you will see the window above. 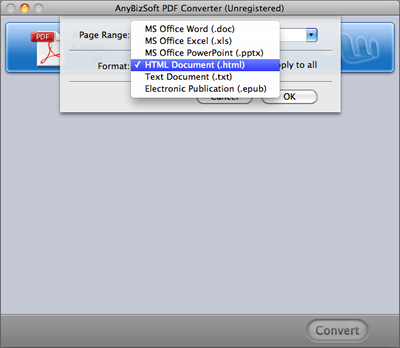 Click “Convert” button to convert PDF files. Each PDF file will be converted as the format you choose. After conversion, you can click the format icon to open the converted file. Now are you ready to Mac your PDF? Just click to enjoy the brand-new experience PDF to Office Converter brings to you!